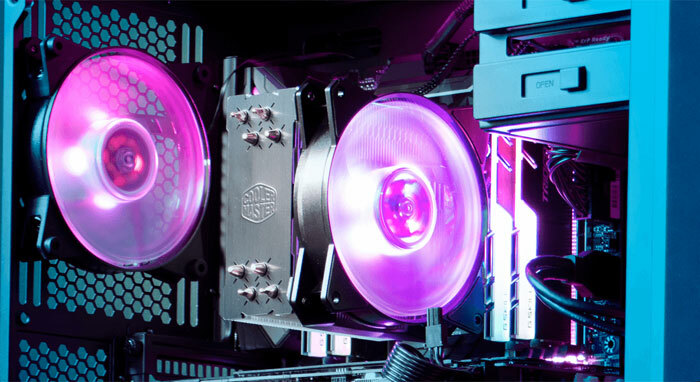 PC cooling, case, PSU and peripheral maker Cooler Master has revealed two new RGB CPU air coolers as part of its extensive lineup. 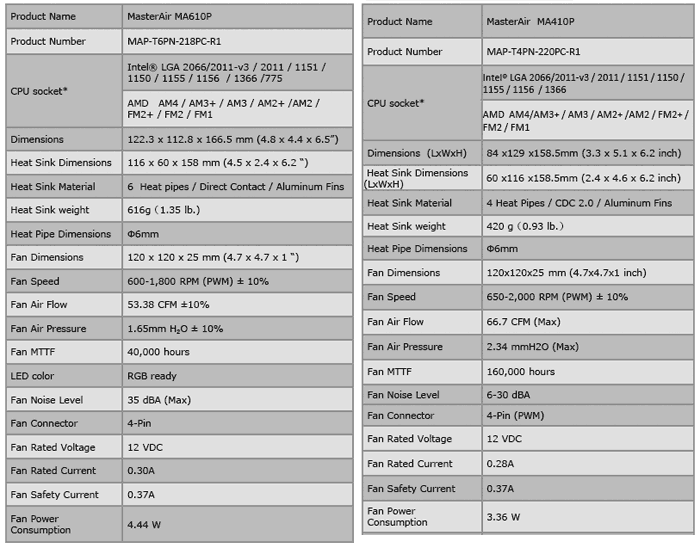 The new MasterAir MA410P and MA610P RGB coolers are part of the firm’s MasterAir Pro Series coolers and are based upon Cooler Master CDC (Continuous Direct Contact) 2.0 technology. A headlining quality of CDC 2.0 is that it is said to increase copper heatsink surface area by 45 per cent compared to the first generation. The Cooler Master MasterAir MA410P is an upgraded version of the MasterAir Pro 4. 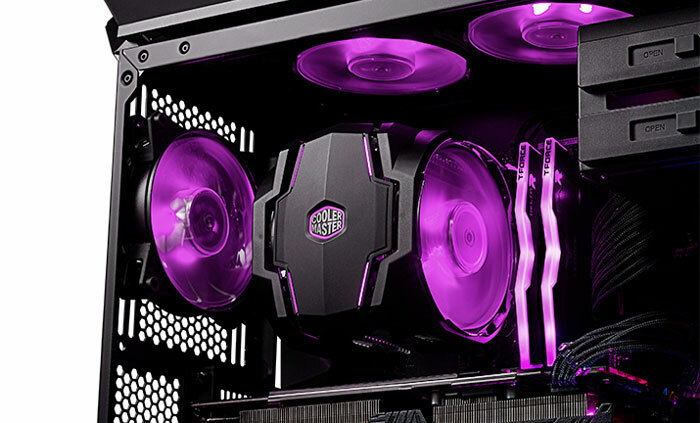 Cooler Master boasts that thanks to CDC 2.0 and the MasterFan 120 Air Balance RGB this unit is “not only silent and efficient in heat transfer, but also the most vibrant and fun choice when it comes to air cooling”. In the MasterAir MA410P the CDC 2.0 construction features four heatpipes that are compressed together at the base for a greater direct contact area. As standard the MA410P is a single fan cooler but you can add an exhaust side fan for push-pull configuration and greater performance. Is it me, or is something missing from the specs there? Heat dissipation and maximum recommended CPUs are not listed. And because some people have their cases on their desks…or does what other people do, not count as you don't do it?